Most people, including savvy wine industry folks, take it for granted that men and women have different taste in wine. Not just labels -- the wine itself. * Men like older wines and more prestigious wines. I have read countless articles that accept these stereotypes as fact, and I know at least one writer/broadcaster who has made a good career out of stating these things as fact, even though she does not herself drink like the girly-girls she panders to. Turns out, they don't either. 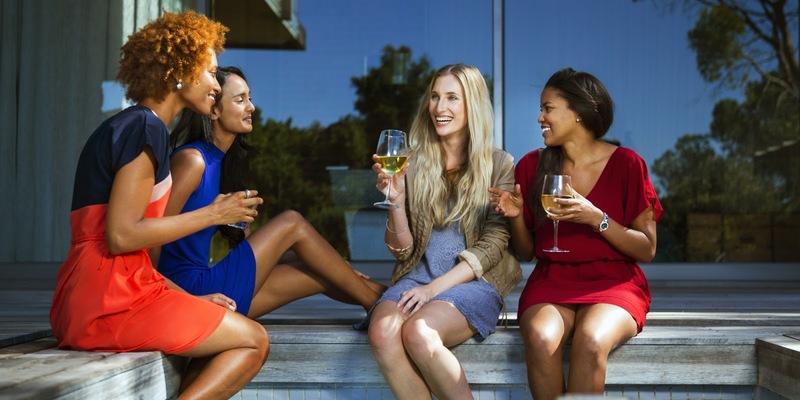 In fact, according to a brilliant new study published in the Journal of Wine Economics, there is no difference in wine preferences between men and women. Author Jeffrey C. Bodington, a San Francisco-based consulting engineer, first points out the huge number of published works that seem to support the idea that men and women will have different tastes in wine. Most importantly, there do appear to be gender-related differences in preferences for fruit and fruit flavors. But none of those studies of food and beverages involve wine. Bodington analyzes results from male and female judges from 23 wine tastings, including the original Judgment of Paris and the more recent Judgment of Princeton, as well as tastings sponsored by tasting groups in California and Portugal. Some of the tastings, such as the Judgment of Paris, used very experienced tasters, but some did not. It turns out that while individual tasters' preferences vary widely -- that seems obvious -- there is no pattern whatsoever for preference by gender. 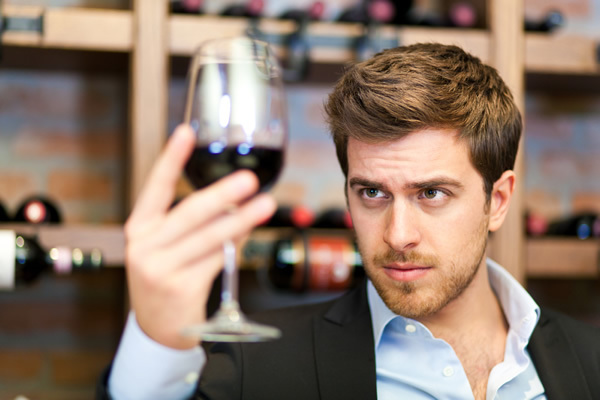 Bodington writes, "Within a maelstrom of idiosyncratic and random variation in expressions of preference for wines tasted in a realistic setting, there is little difference between genders’ relative preferences. This finding may be due to a combination of similarities in taste physiology and psychology and to covariates, such as cultural environment, experience, education, and self-selection toward an interest in wine." By the way, it isn't women who like sweeter non-alcoholic drinks, according to three researchers at University of Michigan -- it's men. Next thing you know men will be swilling rosé. Interesting post, but I am not so sure the results are that surprising. Blake, you mentioned that Mr. Bodington obtained his data from judges at wine tastings. Although you noted that, "Some of the tastings, such as the Judgment of Paris, used very experienced tasters, but some did not," it seems reasonable to surmise that the data was obtained from wine professionals and serious enthusiasts. If this is the case, wouldn't you expect their preferences to be similar? Do you think the results would be different if the data was obtained from a wider net of more casual wine drinkers? I agree with Guren. I'd bet the same researchers could have found significant differences between all of the judges and the consumers - of both sexes - who buy most of the Pinot Grigio, Apothic and Prosecco. Female wine judges are more likely to share tastes with male wine judges than with female - or many male - consumers. This is a totally bogus, unscientific conclusion. What a ridiculous sample. This question would be much better addressed with a controlled test with consumers or even a study of actual purchases by gender. As someone who has worked a retail floor for many years, I can attest to definite gender-based style preferences based upon actual purchases. Kent: The types of marketing that sell wines are absolutely different by gender. But that's not what this study was about. I am going to wade in here with a different take on challenging the report's findings. Fuhgettabout whether the consumer's gender preference skews toward Pinot Grigio or Moscato or some other wine style. Let's talk retail price point. If demographic/economic studies on gender pay gaps are correct that women earn, on average, 83% of the income of their male cohorts, then we can infer that there is a gender difference when buying expensive wines. That is a "pocket book issue." Anecdotally speaking as a wine retailer, I can attest that it is men (seeking "braggart's rights") who buy the so-called "cult" wines of the world. Anyone wish to refute that observation? Bob: Again, the study is talking about what wines people actually like when they taste blind. It's a whole different ballgame from what they buy, in some cases to their detriment.